Look at this Fantastic Idea for Old West Wedding Attire. 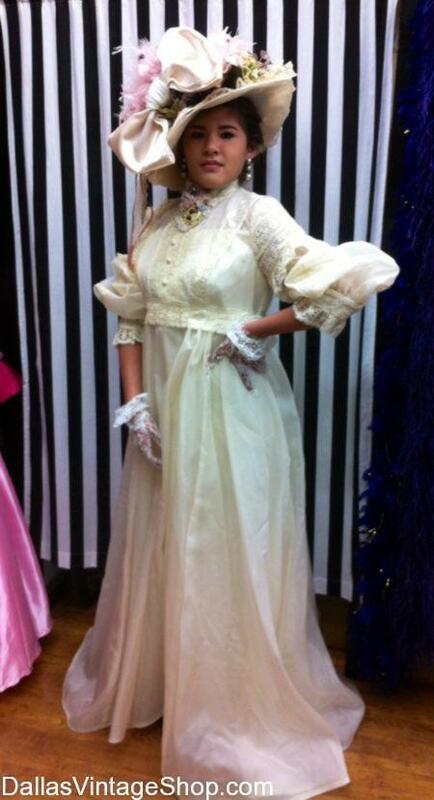 We have choices when it comes to choosing your Victorian Old West Bride Dress Ideas. This Fancy Victorian Old West Missy Outfit is great for Sophisticated City Slicker Ladies turned Old West Towns Person, Victorian Old West Tea Party Attire, Old West Ranchers Daughters or Old West Towns Mayors Wife Costumes. Create your own Old West Ladies Costume Creations for our huge collection of Old West Victorian Costumes. We are the Largest Old West Clothing and Costume Shop in the Dallas, DFW or North Texas Area and we are open sll year. From Supreme Quality Victorian Old West Outfits to Median & Economy Theatrical or Historical Project Costumes, we have everything you need, all in our One Stop Shop.